Keeping your seniors engaged all the way through graduation is one of the most difficult things in student ministry. They are quickly approaching the biggest transition of their lives. They have essentially been in the same school environment for the last 7 years, and they are ready for a change. To them, their life-stage feels like it has been going on forever. They are ready for something new. They are ready for freedom. They are ready to get out on their own. Many times this feeling of impending transition and newness will creep into the way they feel about the student ministry making them seem less engaged. Sadly, many student ministry leaders read this the wrong way resulting in a poor last impression of student ministry in the mind of the graduating senior. In spite of these challenges it’s important to keep the influence of your seniors all the way through their graduation and beyond, but before we get to how that can happen it’s important you fight through some common misconceptions about seniors in your student ministry. Misconception 1 – My seniors don’t care about student ministry anymore – There will be some where this is true, but those didn’t truly care in the first place. For the majority of them the student ministry is something that has had an incredible impact in their lives. Don’t read their “senioritis” in general as a dismissal of the student ministry as a whole. 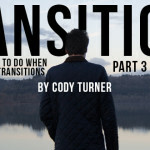 They are ready to transition in life, but that doesn’t mean they’re turning their backs on you or your student ministry. Misconception 2 – They’ve stopped loving Jesus if they’ve stopped attending everything we do – Hopefully this isn’t your thought about anyone in your student ministry. It simply isn’t true. We need to understand that it is ok for students to transition. They are becoming adults and so everything that feels like it’s part of their “kid” life is being questioned. 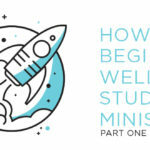 They’re trying to figure out what this new life and mindset will be like and so you as a student ministry leader should walk with them through this process rather than assuming their lack of attendance means they don’t love Jesus or that they’ve started getting involved in something they shouldn’t. Misconception 3 – There’s an 80% chance that they are going to walk away from the church – Do some students walk away from the church? Yes. Do 80% of them? I think not. In any research it really depends on who you are asking as to what the numbers say. Do 80% of seniors who attended church 1 time per month and were barely active leave the church? Probably. Do the seniors that you see for the first time since 9th grade on graduate recognition day remain unplugged from the church in college? Probably. But, the ones who are walking with Jesus, that you (or someone in your ministry) has discipled, the ones who have been committed to your ministry throughout their school years are likely to land well. Don’t allow this misconception to make you feel like all the work you’ve done is worthless. It’s not. What you’ve done in that student’s life matters deeply, and it will last. Give them opportunities to serve within the church, in the community, and globally. A student who has consistently served alongside the Body of Christ will likely stay connected longer and more substantially than someone who has just attended events and fun stuff. Make sure they are connected to a small group. Provide ways that they can lead small groups of younger students. Utilize their influence and leadership. Allow them, throughout their senior year, to speak into the ministry as a whole and listen to their thoughts and feedback. When they are personally invested and have ownership in the ministry they will stay to the end, and many times even longer. Teach them to love and value the role of the local church. You may want to spend some of their small group time as a senior focusing in on this specifically. Connect them to older people in your church. I’ve found that this is directly connected to #5. Helping bridge generations in your church will help your students love and value the local church, the relationships that they have there, and will move them to want to experience those same kinds of relationships wherever college takes them. Be involved in their college decisions. Obviously, this is first and foremost a family decision, but you should be involved to the point of knowing what they are thinking. Only offer your opinions if asked. Often, they will ask. Remember, they are approaching a major transition and many of them are unsure about their next steps. Provide special unique experiences for just them throughout their senior year. Some may say this is favoritism, but I call it strategic. What you are doing here is organizing a unique experience to make sure you have final opportunities to invest into the lives of your students. You can also do this for each group of seniors as they come through so, again, not really favoritism. Keeping your seniors engaged is a challenging and important task for you. What you do with this current group matters because it is building a culture of how future seniors relate to the student ministry in their final months. If you can develop a culture of influence and involvement to the end, your job in this area becomes easier year after year. We would love to hear from you! Make sure you leave a comment in the section below and share some of your thoughts on how you keep seniors engaged in your ministry during the heaviest of senioritis months.